This program is designed for soccer players serious about improving technique on ball-striking, increasing power and accuracy. 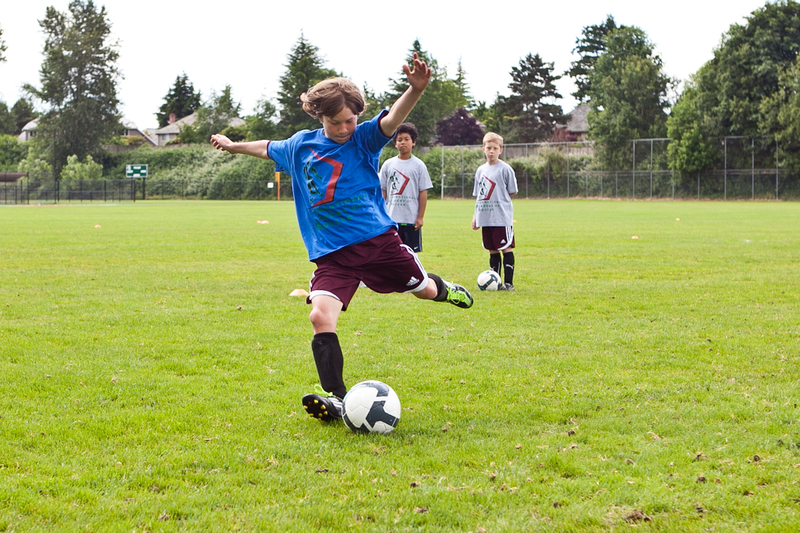 Players will practice shooting at different angles, distances and under varying types of pressure. Beginning and intermediate players will focus more on technique and execution of the shooting motion, both with shooting with the laces and effective placement striking with the inside of the foot(passing). Players at this level need to improve their ability to strike a moving ball coming from different angles. Older and more advanced players will be expected to comfortably shoot with proper technique, and will focus on increasing the speed of actions and quality of decision making in game-like situations, as well as advanced finishing techniques such as 1-on-1 vs the goalkeeper and crosses; addressing the timing, angle and speed of the run along with first-time finishes. The goalkeeper camp will be focused on basic and intermediate footwork, shot-stopping from close and far range and catching shots in all areas. Older and more advanced keepers will improve technique and power of making diving saves. Basic and intermediate diving will be taught with progression from basic ground dives to full dives to avoid injury. Crosses and high-balls will be covered and practiced with the forwards. Goalkeepers should expect to take a lot of shots from coaches and players at different angles, distances and velocities.